It looks like the nice weather will continue on Wednesday. The forecast calls for partly cloudy and mid 70s in the morning and low 80s in the afternoon. Check out the picture of the fountain at the Wachusett Dam. Since we didn't ride on Monday, I shortened up this ride a bit so everyone can enjoy the beautiful views of the Nashua River Valley. Think of it as a fitness ride (at a recreational pace) in the morning, a unique lunch opportunity (in a good way), and a 4 mile jaunt back to the start. Lancaster isn't that far away either. According to Google, its 30 minutes from Groton, 14 minutes from Harvard, 22 from Boxboro, 31 from Sudbury, 25 from Shrewsbury, ... you get the picture. This weeks Exploration Ride will start in Lancaster and visit Sterling, Wachusett Reservoir, and Clinton. Along the way, we will ride past Atlantic Union College, Maharishi Ayurveda Health Center, and historic Lancaster Center. We will also ride parts of the Mass Central Rail Trail on our way to the Wachusett Reservoir. Much of the route is through rolling orchards and corn fields. We can eat, drink, and be merry at the Old Timer Restaurant in Clinton since its only 4 miles back to Lancaster. The route is about 22 miles with some hilly terrain (about 1200 feet vertical). There is also some offroad on the MCRT and along Wachusett Reservoir, but it is highly civilized. I plan to bring my road bike. On Wednesday June 2nd, we will meet in Lancaster at the baseball diamonds just down Packard Street from the center of town. Park near the street instead of going inside the gates. Here is a map. * At 9:30 AM - We will leave for Sterling and the Wachusett Reservoir. Here is a map. * At Noonish - We will have lunch at the Old Timer Restaurant in Clinton. * At 2:15 PM - We will be back to Lancaster. On Friday, June 4th, we will meet at the soccer fields in Harvard on Depot Road. Here is a map. * At 9:30 AM - The Recreational ride will leave. * At 11:30 AM - We will have a BYOL picnic at the soccer field. * At 12:15 PM - The Fitness ride will leave. * At 2:15 PM - We will be back. Several AdventuRiders are planning to do the Seacoast Century ride this September 25 - 26. 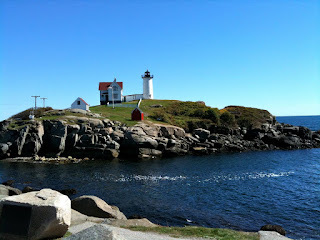 Its a two day event that rides along the coasts of MA, NH, and ME. There are 25, 50, 62, and 100 mile routes. It only costs $35 for a fully supported weekend. The ride is limited to 1600 bikers and it does sell out. Its a fundraiser for the Granite State Wheelmen, so it goes to a good cause even if it rains. Two years ago, a bunch of us made a weekend of it and stayed overnight at Hampton. On Saturday we rode 50 miles (mostly flat) with a leisurely lunch stop at the Portsmouth Brew Pub. 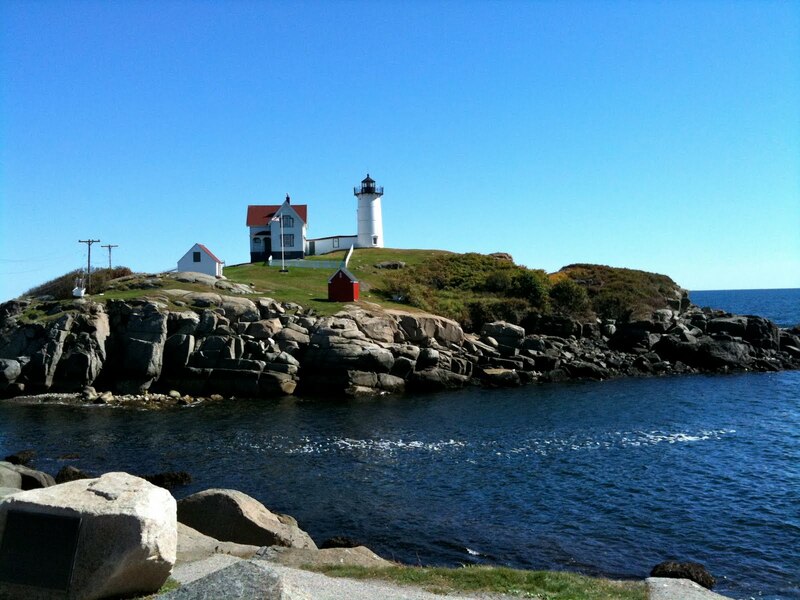 On Sunday we started in New Castle, NH and rode 50 miles to Ogunquit, ME and back with a lunch stop at Cape Neddick and the Nubble lighthouse. Let me know if you're interested. Also, here are a few recent videos from Alex. Thanks Alex! GO - Another Beautiful Day! It looks like ANOTHER Top 10 day tomorrow! Sunny, mid 60s, low humidity, light breezes in the morning. mid 70s in the afternoon. NOTE: We are meeting at Cutler Field in West Groton, NOT the Water Department. Here is a map. The morning Recreation Ride will travel (on the road) to the Bertozzi Wildlife Management Area for an off road visit to the Squannacook River. From there we will climb Oak Hill in West Pepperell and enjoy the views and have a breezy ride down before climbing another hill for more views on the our way to Fitch Bridge. Some gravel roads and a bit of old rail line will take us back to West Groton. The route is almost 14 miles and 600 feet vertical. Here is a map. I am planning to bring my hybrid bike. The afternoon Fitness Ride will visit historic Shirley Center and the Holdenwood gardens on our way to nice views from Flat Hill. Then we're off to Hickory Hills Lake and Townsend Harbor. A short ride on the future Squannacook Rail Trail will avoid some unpleasant riding on Route 119 on the way back. The route is almost 18 miles and 700 feet vertical. Here is a map. Its do-able on a road bike, but a hybrid / mountain bike would work better on the future rail trail. On Friday, May 28th, we will meet at Cutler Field in West Groton. Here is a map. * At 9:30 AM. The Recreation Ride will leave for the Bertozzi WMA and West Pepperell. Here is a map. * At 11:30 AM. We will have lunch at Clover Farm Store in West Groton. * At 12:15 PM. The Fitness Ride will leave for Shirley Center and Townsend Harbor. Here is a map. * At 2:15 PM. We will be back. BTW, I am bringing my hybrid bike tomorrow, because the route around Burgess Pond is off road. A road bike would mostly work if you don't mind a bit of walking. The planned route is about 20 miles with 900 feet vertical. Here is a map. We will meet at Forge Pond Beach in Westford and ride around to other beaches, including Nabnasset Pond, Burgess Pond, Knops Pond, Keyes Pond, etc. I'm thinking the ride portion will be around 20 miles with a picnic lunch stop somewhere in the middle. On Wednesday, May 26th, we will meet at Forge Pond Beach in Westford. Here is a map. * At 9:30 AM, we will leave for other beaches, the route is TBD. * At Noonish, we will have a picnic lunch somewhere. * At 2:15 PM, we will be back. We have certainly been spoiled by last week's weather. The forecast for Monday morning is mostly cloudy and mid 60s. By afternoon, its supposed to be mid 70s and partly cloudy. Not a "top 10" day perhaps, but quite nice anyway. The morning Fitness Ride will cruise past a bunch of Acton Conservation land on the way to the Old North Bridge in Concord. From there we will ride on Monument Street and admire the farms and views of the Concord River Valley on our way back to Carlisle. The route is 16 1/2 miles, 750 feet vertical, all on road and I plan to bring my road bike. The afternoon Recreation Ride will zip over to the new Bruce Freeman Rail Trail for a short ride to Heart Pond. Then its off to the Cranberry Bog and Great Brook Farm State Park before returning to Carlisle. The route is almost 15 miles and 500 feet vertical. We will probably do a bit of off road exploring, but I'm still in love with my new road bike, so the off road will be limited and very civilized. On Monday, May 24th, we will meet in Carlisle Center at a little park just past Fern's. Please, DO NOT PARK AT FERN'S! Here is a map. * At 9:30 AM. The Fitness Ride will leave for Concord and the Old North Bridge. Here is a map. * At 11:30 AM. We will get lunch at Fern's Country Store in Carlisle Center. * At 12:15 PM. The Recreation Ride will leave for the Bruce Freeman Rail Trail and Great Brook Farm. Here is a map. On Wednesday, May 26th, we will meet at the Rail Trail parking in Sterling Center. Here is a map. * At 9:30 AM. The Exploration Ride will leave for great views of Mount Wachusett. Here is a map. * At Noonish. We will have lunch at the Countryside Cafe. Tomorrow is looking like a TOP 10 day! Mid 60s in the morning and mid 70s in the afternoon. Sunny, gentle breezes, and low humidity. Perfect! Bring your sunscreen. The morning Recreation Ride will check out the great views from Sunny Hill Road before stopping at Lake Whalon. Then its off to Lake Shirley before returning to Lunenburg. The route is about 13 miles and about 600 feet vertical. It is all on road and I will probably bring my road bike. Here is a map. Lunch will be at Trudie's Treats (YUM). The afternoon Fitness Ride will ride around Hickory Hills Lake on the way up to Bayberry Hill. From there its downhill to Pearl Hill State Park. Then we will cruise past Maplewood Golf Course on the way back. The route is about 17 1/2 miles with 750 feet vertical and is all on road and quite hilly. Here is a map. On Friday, May 21st, we will meet between the Senior Center and the Teen Center in Lunenburg Center. Here is a map. * At 9:30 AM - The Recreation Ride will leave for Lake Whalon. Here is a map. * At 11:30 AM - Yummy lunch at Trudie's Treats. * At 12:15 PM - The Fitness Ride will leave for Hickory Hills Lake. Here is a map. GO - Sunny and Warm! I just got back from scouting tomorrow's ride, and the off road portions are very muddy :-( So, I'm changing the starting point to Groton Center and the lunch spot to Hollis Country Kitchen. Drive less, bike more! Before I forget, check out these videos and pictures from recent rides. Tour de Forts video, thanks Alex! Tour de Forts pictures, thanks iPhone! The weather tomorrow is looking nice though, 60 degrees and sunny in the morning, mid 70's in the afternoon. I haven't decided on the route yet, but here is a possible map. Its 28 miles, about 1000 feet verical and do-able on a road bike. There may be a bit of dirt / gravel roads, but its mostly on road or the rail trail. On Thursday, May 20th, we will meet in Groton Center at the rail trail parking. Here is a map. * At 9:30 AM, we will leave for Hollis. Here is a map. * At noonish, we will have lunch at Hollis Country Kitchen. The weather for Monday is looking excellent! Sunny and mid 60's in the morning, mid 70's in the afternoon, low humidity and light breezes. The morning Fitness Ride features a trip through the Assebet River National Wildlife Refuge. Its only recently been open to bicycling. Along the way we will also ride past Delaney Pond and check out the last paved section of the Assebet River Rail Trail. The route is about 18 miles with a few hills and a bit of off road. Here is a map. The afternoon Recreation Ride will feature a beautiful unpaved portion of the Assebet River Rail Trail. We will also visit the restored Victorian houses in West Acton on the way back. We might even visit the CIA Headquarters! The route is about 14 miles with a couple of significant hill and some extremely civilized, unpaved rail trail. Here is a map. On Monday, May 17th, we will meet at the Minuteman Airport in Stow. Here is a map. Please park away from Nancy's. * At 9:30 AM - The Fitness Ride will leave for the Wildlife Refuge. Here is a map. * At 11:30 AM - Lunch at Nancy's Airfield Cafe. * At 12:15 PM - The Recreation Ride will leave for the Assebet River. Here is a map. I can't do a Wednesday ride this week, and the weather is looking better for Thursday anyway. On Thursday, May 20th, we will meet at the parking lot just off Route 13 and Mason Road in Brookline, NH. Here is a map. Google claims its only 21 minutes from Groton Center. * At 9:30 AM, we will leave for Milford, NH. Here is a map. * Noonish, we will stop for lunch at Amigos Mexican Cantina. * At 9:30 AM - The Recreation Ride will leave. Well, tomorrow's weather couldn't possibly be as nice as it was today, and it appears that it won't even come close :-( The forecast calls for 50 degrees and 30% chance of rain in the morning, and 60 degrees and 40% chance in the afternoon. I will send out email and update the website before 8:00 AM with the ride status. BTW, check out some of the pictures from this season here. On Friday, May 14th, we will meet between the Senior Center and the Teen Center in Lunenburg Center. Here is a map. GO - Its a Beautiful Day! See you just past Townsend Center. So, I rescheduled this week's Exploration Ride to Thursday, May 13th, and changed the starting point to Townsend Center. The originally scheduled ride had a bunch of dirt / gravel that could still be sloppy after the rain. We will meet just past Townsend Center and ride UP to Ashby then DOWN to historic New Ipswich "High Bridge" and then on to Greenville for lunch (NOT Nennie's 5 Star!). Lunch will be at the Heart's Desire Bakery / Deli or the Panda Wok in Greenville. After lunch, we have a steady climb up to amazing views from Adams Hill. We should be able to see Boston (almost 50 miles away). From there it is almost all DOWN. We will zip through Mason, past the cascades on Rocky Brook, and then enjoy a breezy cruise back down to Townsend. The ride will be about 25 miles and 1350 feet vertical with some killer hills getting up to the plateau, but then its rolling hills and beautiful distant views. Its all on road, but there are a few gravel / dirt roads on the way. I plan to bring my road bike. BTW, the killer hills are easily walkable, so everyone is welcome. Here is a map. On Thursday, May 13th, we will meet just past Townsend Center. Here is a map. Google claims its only 14 minutes from Groton Center. * At 9:30 AM - we will leave for Greenville. Here is a map. * At Noonish - Lunch in Greenville. * At 2:30 PM - we will be back. It will be sunny, chilly, and breezy all day. Thanks to everyone who covered for me on Friday! I'm mostly recovered and raring to go. On Monday, May 10th, we will ride around Dunstable and enjoy the views and blossoms. The forecast is looking lovely too, SUNNY and about 50 degrees in the morning, and mid 50's and breezy in the afternoon. The morning Fitness Ride will visit the "field of dreams" in Dunstable and some pretty back roads in Tyngsboro. The route is about 16 miles and quite hilly (900 feet vertical). It is mostly on road, but there are long stretches of broken pavement. Here is a map. The afternoon Recreational Ride will enjoy the views from High Street and we will ride a bit of very civilized off road on the NA&B Rail Line and see the stone arch bridge. The route is about 14 miles and a bit hilly (650 feet vertical). Here is a map. On Monday, May 10th, we will meet at Larter Field in Dunstable. The nearest intersection is Groton Street and Dogwood Lane. Here is a map. * At 9:30 AM - The Fitness ride will leave for "The Field of Dreams". Here is a map. * At 11:30 AM - We will have a picnic lunch from The Convenient Mann. * At 12:15 PM - The Recreational ride will leave for High Street and the Stone Arch Bridge. Here is a map. On Wednesday, May 12th, we will meet at the parking lot just off Route 13 and Mason Road in Brookline, NH. Here is a map. Google claims its only 21 minutes from Groton Center. * Noon-ish, we will stop for lunch at Amigos Mexican Cantina. background to a street map. I thought the weather was perfect yesterday! Tomorrow is looking about the same except a bit cooler and breezier. The forecast calls for Sunny and upper 50s in the morning and upper 60s in the afternoon! Don't forget your sunscreen. We will meet at Fay Park in Littleton. Here is a map. Bolton Center - ARRT Ride. Thanks Alex! There is some really nice footage of the Assebet River Rail Trail. Bike New York - 5 Boro Tour. Portsmouth Gale Force Ride. Thanks Alex! We didn't get blown away, but it was close. Anyway, the morning recreation ride will feature Long Pond and Nagog Pond with a stop to see the Llamas. Here is a map. The route is all on road and about 12 miles long and 500 feet elevation gain. The afternoon fitness ride will visit the old Littleton train station before climbing Hill Road on our way to Boxboro. After zipping through Boxboro Center, don't blink or you will miss it, we will return through Acton and past Nagog Pond. The route is about 16 1/2 miles with about 700 feet elevation gain. Here is a map. On Friday, May 7th, we will meet at Fay Park in Littleton. Here is a map. * At 9:30 AM - The Recreation ride will leave for Long Pond. Here is a map. * At 11:30 AM - We will have lunch at the Littleton Cafe. * At 12:15 PM - The Fitness ride will leave for Boxboro. Here is a map. GO - It A Beautiful Day! Tomorrow's weather is SUNNY and low 60's in the morning, mid 70's in the afternoon and low humidity! Don't forget your sunscreen. Here is the map for the Nashoba Valley Winery / Assebet River Rail Trail route. It starts about a mile from 495 (exit 27) in Bolton Center. I found a ball field with PortaPotty's just down the hill from Nashoba Valley Winery. Here is a map. The route goes over Sawyer Hill (great views) to South Berlin, and Northboro and then Marlboro. We catch the ARRT for a breezy downhill run to Hudson and then head back to Bolton.The route is all on road and rather hilly, but only 24 miles to make up for the hills. Here are some pictures that Joe took last fall. On Wednesday, May 5th, we will meet in Bolton Center. Here is a map. 9:30 AM - We will leave for Berlin and Marlboro. noonish - Lunch and "refreshments" at the Horseshoe Pub in Hudson. Apres Bike - Wine tasting at Nashoba Valley Winery just up the hill from our starting point. PS. Here is some information about the wine tasting. Unfamiliar with our wines? Looking for the perfect wine for dinner? You've had the Blueberry Merlot and Plum wine, but want to try the Baldwin Apple Wine? Well then, step up to the tasting bar – try before you buy! All of our guests (21 years of age and older) are welcome and encouraged to enjoy samples of our delicious and unique grape and fruit wines. Our knowledgeable staff is happy to serve you and answer all of your questions and help you make your selections. There is a $4.00 fee for our tasting bar which includes a complimentary tasting glass plus five - 5/8 of an ounce tasting of any five of our standard wines. Premium wines and ports may carry an additional fee. Reservations are not necessary. The tasting area is open seven days a week during store hours (10 - 5 pm). I generally wait until morning to decide the status of the rides, but Joe and I just got back from the New York 5 Boro Tour. After 42 miles in the heat with 31,998 other bikes, I am exhausted. The is also a 60% chance of thunderstorms tomorrow morning.